We don’t usually offer early check in, however, it may be possible depending on availabilities. Please contact the hotel for details. Yes, you can check in after midnight. Please inform us of your desired check in time prior to your arrival. Can I do late check out? Late check out is available until 1pm at a fee, depending on your reservation and room availability. *If you check out after 1pm, you will be charged for an additional night. To extend your check out time, please contact the front desk in advance. All rooms in the hotel are non-smoking rooms. If you would like to smoke, there is a smoking area on the 1st floor. All rooms of our hotel are non-smoking rooms, but we do have a smoking area on 1F. Unfortunately, there are no cribs available. Please inform us in advance, and we will make special arrangements. It may not be available depending on availabilities. Can minors stay in a room without adults present? Yes, minors may stay in a room without adults present. However, you will be required to submit a parent consent form. Please contact the hotel for instructions on how to do so. We have no rules about advance reservations. However, we recommend making reservations in advance as we offer Advance Purchase Rate. We do not offer waiting lists. Please contact us directly by phone or email to get the latest updates on room availability. You will be charged 20% of your reservation price if you cancel the day before, 80% will be charged the day of your reservation, and 100% will be charged if you do not show up at the hotel. Please click here for confirmation, change and cancellation of reservation details. Children under the age of 6 who do not require an additional bed will not be charged. Children over the age of 6 will be charged as an adult. Payment for your stay will be completed when you check in. If someone other than the guest who is checking in is responsible for the payment, they will need to complete the payment in full prior to the guest’s check in. Please contact the hotel in advance if you have any further questions. We accept VISA / JCB / MASTER / AMEX / UC / DC / NICOS / DINERS / GINREN. If you are unsure if you are able to use your card, please contact the hotel in advance for clarification. We located 24-hour Money Exchange on the first floor in front of lounge. Yes, the hotel is wheelchair friendly. We have a universal twin room which is completely wheelchair accessible. Yes, we will keep your luggage at the front desk prior to your check in and after you check out. Please contact the front desk if you would like us to hold onto your luggage. Can I send packages to myself at the hotel? Yes, we can receive packages sent from within Japan and overseas at the hotel. However, we do not accept packages which require payment on delivery. Please make sure all packages you send to the hotel are pre-paid. On the shipping label, please write the reservation name of the guest at the hotel, reservation dates, reservation confirmation number and address the package to “reception”. Yes, we can help you send packages to other locations in Japan. Please contact the front desk for assistance. Can I send packages overseas from the hotel? Unfortunately we cannot help with international shipping. The nearest post office from our hotel is Kyoto Gion Post Office (https://goo.gl/maps/G15fqWprPqJ2), which is open during weekdays from 9am to 5pm. Yes, we have breakfast from 7am to 11am (last order is at 10:30am) at the hotel. To confirm whether your reservation includes breakfast, please ask the front desk. You are able to add breakfast to any reservation for ￥1,800 per person. Unfortunately, we have no parking. The nearest public parking from the hotel is about a 4 minute walk, located here: https://goo.gl/maps/ouXY7GorFi82. Are English TV channels available to watch in the room? Yes, we provide an apple TV in each room. ABC News is available through the Apple TV. 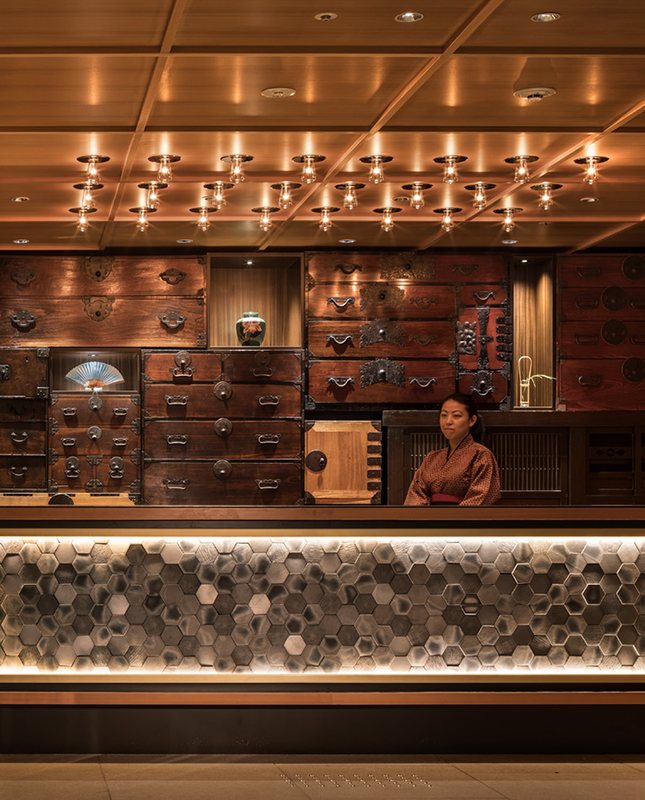 Is there a “Lost and Found” at KYOTO GRANBELL HOTEL? Lost items may be discarded after then if there is no inquiries within 1 month. Valuables such as cash ,valuable securities and precious metals are handled according to the law and regulations. Please note that if food and beverage are left behind after check out, they may be disposed on the day.